Home PREGNANCY TESTS Pregnancy Test Are Home Pregnancy Tests Really Accurate? Basically pregnancy tests look for a hormone in your blood or urine that only exists when you are pregnant. This hormone is called as human chorionic gonadotropin (hCG), also it is called as pregnancy hormone. This hormone is developed in your body when the fertilized egg implants in your uterus. This only occurs 5-6 days after conception. But, according to the studies, implantation of embryo will not take place until later in some women. Most of the home pregnancy tests declare that they can confirm if you are pregnant immediately on the day you suppose the periods. But, according to the recent studies, the home pregnancy tests will not give accurate results that much earlier in pregnancy. They only confirm accurately only after one week of your missed periods. 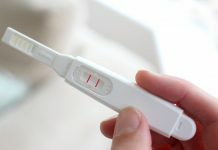 Usually, home pregnancy tests can be quite accurate. The accuracy of these tests will depend on various things. They include: How you use, when you use, who uses, and the brand of test. When you are using the test kit, make sure you follow the directions correctly. Also, check the expiration date before using the kit. The time you use the test kit to confirm your pregnancy plays an important role. You should wait one week after you missed the period, then only you will get accurate result. Also, test your pregnancy only with the first urine sample in the morning so that the result will be more accurate. The accuracy of the test also depends on the hCG level in the urine. This test kit is used 3 days before your period is due. This gives early results, easy to use and more accurate. This is a nice pregnancy test kit. It is easy to use, easy to read and accurate. But, the test kit does not give accurate results for the lower levels of hCG. Use the test kit the day your period is late. Use this test kit as early as five days before you expect your period. This gives early results, easy to use and accurate. This kit measures 50 mIU of hCG. This is a fast result pregnancy test kit. You can use the kit the day your period is delayed. This test kit measures 100 mIU of hCG. This test kit measures 40 mIU of hCG. You can use the kit the day your period is delayed. 25 mIU of hCG can be measured with this test kit. This kit is one of the lowest amount detectable kits. This is an inexpensive pregnancy test kit. You can use the kit the day your period is delayed. Previous articleWhat Is Gestational Trophoblastic Disease And How To Treat The Condition?